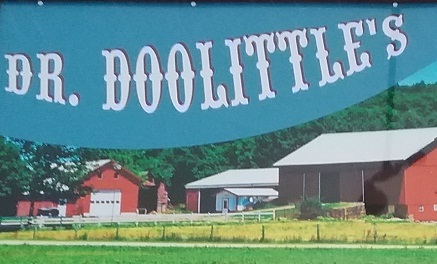 Welcome to Dr. Doolittles Roadside Cafe. 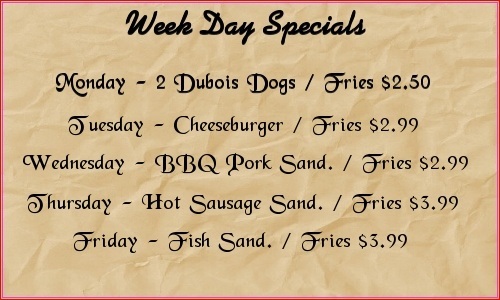 We are the areas premier spot for food, fun and low prices. 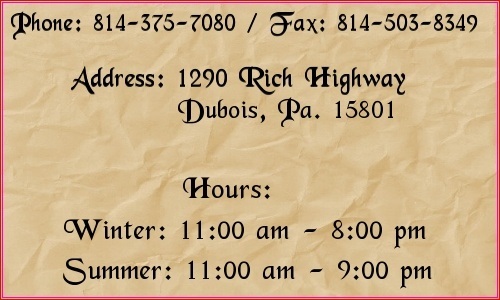 We are located on Rich Highway (State Route 219) between Dubois and Falls Creek Pa.. We are the true home of the $0.49 hot dog. We feature Laser Tag / Laser Tag Rentals / 14 Hole Mini Glow Golf / 18 Hole Outdoor Mini Golf / Party Barn Rental and our full menu that we feel will satisfy your hunger any time of the year. Exclusive carrier of "Penn State Creamery Ice Cream" in the area.